Is it covered under Medicare? Our office gets many questions regarding whether certain items are covered under Medicare. We've created a searchable list to help you discover whether the item you want is covered. Do you need a flu shot? Did you know that Medicare Part B covers one flu shot, per person, per flu season? And, the best part, you pay nothing! So yes, flu shots are covered under Medicare! To see if it's covered under Medicare, understand that coverage often depends on where you live but this list only includes tests, items and services that are covered no matter where you live. If your test, item or service isn’t listed, talk to your doctor or other health care provider about why you need certain tests, items or services, and ask if Medicare will cover them. To see if it's covered under Medicare, click on the link. The listing itself does not mean it's covered under Medicare Parts A or B. This is meant to be a quick reference, but be sure to click the link to get more detailed information about each option, including which part of Medicare covers it, if it's listed as being covered. Abdominal aortic aneurysm screening might be covered. Advance Care Planning is covered under your yearly wellness visit. Air-fluidized beds & other support surfaces might be covered. Alcohol misuse screening & counseling is covered once a year. Ambulance services may be covered. Be sure to check the rules. Ambulatory surgical centers may be covered. Be sure to check the rules. Anesthesia is covered. Be sure to check the rules. Artificial eyes & limbs are covered when ordered by a doctor enrolled in Medicare. Bariatric surgery might be covered. Blood is covered. Be sure to check the rules regarding amounts and frequency. Blood processing & handling is covered. Check the rules regarding co-payments. Blood sugar (glucose) monitors might be covered. Blood sugar (glucose) test strips might be covered. Does Medicare Cover Glucose Test Strips? Glucose test strips are considered Durable Medical Equipment (DME), and may be covered. But, keep in mind that it's only covered if your doctors and suppliers are enrolled in Medicare. They have to meet strict standards to be part of the program. If they aren’t enrolled, Medicare won’t pay those claims. Bone mass measurement (bone density) is covered if certain criteria is met. Be sure to check the rules. Braces (arm, leg, back, and neck) might be covered. Breast prostheses might be covered. Be sure to check the rules. Canes are covered under Medicare Part B as Durable Medical Equipment. Be sure to check the rules. Cardiac rehabilitation programs might be covered. Check the rules for eligibility and restrictions. Cardiovascular disease (behavioral therapy) is covered once per year with your Primary care doctor. Cardiovascular disease screenings are covered by Medicare B Part every 5 years when ordered by a Doctor. Cataract surgery may be covered. Check the rules for instructions on finding the approximate costs. Cervical & vaginal cancer screenings are covered. Check the rules for how often these are covered. Chemotherapy might be covered. Be sure to check the rules. Chiropractic services might be covered. Clinical research studies may be covered. Be sure to check the rules. Colorectal cancer screenings may be covered. Medicare Part B covers several types of colorectal cancer screening tests. Commode chairs are covered as durable medical equipment under Medicare Part B. Be sure to check the rules for costs that may be associated. Concierge care is not covered by Medicare. Continuous passive motion (CPM) machine may be covered if certain conditions are met. Be sure to check the rules. Cosmetic surgery is not covered unless it's needed because of accidental injury or to improve the function of a malformed body part. Much to the chagrin of many of our clients, Medicare does not cover cosmetic surgery. The exception is if it's needed because of accidental injury or to improve the function of a malformed body part. Medicare does covers breast reconstruction if you had a mastectomy because of breast cancer. Crutches can be covered under durable medical equipment. The Doctors and Suppliers must be enrolled in Medicare. Be sure to read the rules. Custodial care is not covered. Defibrillator (implantable automatic) might be covered. Be sure to check the rules regarding eligibility and costs. Depression screenings are covered once per year. Diabetes items that you might want to know about are listed below. 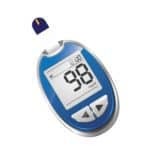 Blood sugar (glucose) monitors are covered as durable medical equipment. Blood sugar (glucose) test strips covers some diabetic test supplies, including blood sugar test strips as durable medical equipment. Diabetes screenings are covered twice per year if certain eligibility requirements are met. Be sure to check the rules. Diabetes self-management training may be covered. Be sure to check the rules. Diabetes supplies & services may be covered. You may need to use specific suppliers for some types of supplies. Be sure to check the rules. Foot care can be covered if it is medically necessary. Be sure to check the rules for more information. Foot exam may be covered every 6 months if certain requirements are met. Check the rules. Glucose control solutions might be covered. Insulin is not covered unless use of an insulin pump is medically necessary. Therapeutic shoes or inserts may be covered. Medicare covers the furnishing and fitting of either one pair of custom-molded shoes and inserts or one pair of extra-depth shoes each calendar year. 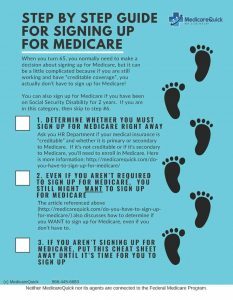 Medicare also covers 2 additional pairs of inserts each calendar year for custom-molded shoes and 3 pairs of inserts each calendar year for extra-depth shoes. Medicare will cover shoe modifications instead of inserts. Be sure to check the rules. Diagnostic tests are covered if they are medically necessary and when your doctor or practitioner orders them. Dialysis (children) might be covered. Be sure to check the rules. Dialysis (kidney) services & supplies may be covered. Drugs are generally not covered without a drug plan, if used at home. They are covered under limited circumstances. Does Medicare Pay for Wheel Chairs? Durable medical equipment (DME) coverage may be covered if medically necessary and your doctor prescribes if for use in your home. Be sure to check the rules. Hospital beds may be covered. Be sure to check the rules for eligibility and restrictions. Incontinence supplies & adult diapers are not covered. Infusion pumps & supplies may be covered. Patient lifts may be covered. Manual wheelchairs & power mobility devices may be covered if your doctor prescribes for use in your home. 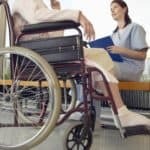 You must have a face-to-face examination and a written prescription from a doctor or other treating provider before Medicare helps pay for a power wheelchair. Power wheelchairs are covered only when they're medically necessary. Nebulizers & nebulizer medications might be covered. Be sure to check the rules. EKG (electrocardiogram) screening is covered one time as part of your “Welcome to Medicare” Preventative Visit. Emergency department services might be covered. Be sure to check the rules. Enteral nutrition supplies & equipment (feeding pump) are covered under the prosthetic device benefit. Be sure to check the rules on eligibility and restrictions. Eye issues or items are listed below. Eye exams are not covered however, some preventative and diagnostic exams may be covered. Eyeglasses/contact lenses are generally not covered however, following cataract surgery that implants an intraocular lens, Medicare Part B helps pay for corrective lenses (one pair of eyeglasses or one set of contact lenses). Macular degeneration might be covered for certain tests and treatments. Be sure to check the rules. Glaucoma tests are covered once every 12 months for people who are at high risk for Glaucoma. 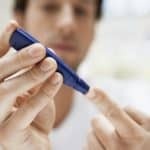 Glucose control solutions may be covered. 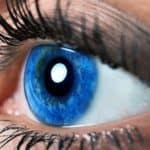 Yearly eye exam is covered for diabetic retinopathy by an eye doctor who's legally allowed to do the test in your state. Medicare doesn't generally cover eyeglasses or contact lenses. However, following cataract surgery, Medicare generally covers one pair of eyeglasses or one set of contact lenses. Federally qualified health center services – Medicare covers a broad range of outpatient primary care and preventative services in federally qualified health centers. You generally pay 20% of the charges. You pay nothing for most preventive services. Flu shots are covered once per flu season. Foot care may be covered. Be sure to check the restrictions. Foot exam is covered once every 6 months as long as you haven't seen a foot care professional for another reason in between visits. 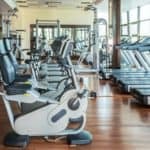 Gym membership & fitness programs are not covered. Health education & wellness programs are generally not covered. Hearing & balance exams & hearing aids might be covered. Be sure to check the rules. Hepatitis B shots are covered if certain eligibility restictions are met. 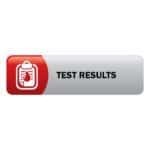 Hepatitis C screening test is covered one time. Yearly repeat screenings are covered for certain people at high risk. HIV screening is covered once every 12 months for people who meet certain guidelines. Home health services might be covered. Be sure to check the rules and guidelines. The good news is that Medicare may cover eligible home health services. Usually, a home health care agency coordinates the services your doctor orders for you. But it doesn't cover non medical services, so be sure to check to see if you are eligible. Hospice & respite care may be covered if certain guidelines are met. Humidifiers are generally not covered. Hyperbaric oxygen (HBO) therapy is covered under certain conditions. Inpatient hospital care is covered under Medicare Part A. Be sure to check the rules. Kidney items that you may want to know about are listed below. Kidney disease education is covered for up to 6 sessions. Kidney transplants (adults) is covered and part of the costs are covered. Be sure to check the rules. Kidney transplants (children) may be covered. Check the rules for more information. Laboratory services (clinical) are covered if they are medically necessary and certain guidelines are met. Lancet devices & lancets might be covered. Long-term care is generally not covered. Long-term care hospitals might be covered. Skilled nursing facility (SNF) care is covered under certain conditions for a limited time. Medicare doesn’t cover long-term care, if that's the only care you need. Most nursing home care is custodial care. That's why we recommend that our clients purchase Long Term Care Insurance. Lung cancer screening is covered once per year with Low Dose Computed Tomograpgy. Mammograms are covered once every 12 months for screenings. Be sure to check the rules. Massage therapy is not covered. Does Medicare Pay for Massage? Shoot! Medicare does not pay for Massage therapy. Mental health care (inpatient) might be covered. Mental health care (outpatient) is covered with certain health professionals. Mental health care (partial hospitalization) is covered in some cases. Be sure to check the rules. Nursing home care may be covered if given in a Skilled Nursing Facility. Nutrition therapy services (medical) are covered if given by a professional who meets certain criteria. Obesity screening & counseling is covered if given in a primary care setting and your BMI is 30 or more. Please be sure to check the rules. Orthotics, artificial limbs, & eyes might be covered. Osteoporosis drugs for women might be covered. Be sure to check the rules. Ostomy supplies are covered. Be sure to check the rules. Outpatient hospital services are covered in some circumstances. Be sure to check the rules. Oxygen equipment & accessories might be covered. Pancreas transplants (adults) are covered if you have ESRD and other conditions are met. Patient lifts are covered as durable medical equipment. Medicare covers patient lifts as durable medical equipment (DME) that your doctor prescribes for use in your home. But your supplier must participate in Medicare in order for it to be covered, and they must accept assignment to be participating suppliers. Be sure to ask your supplier if they are participate before purchasing a lift. Physical therapy/occupational therapy/speech-language pathology services can be partially covered. Be sure to check the rules as there are cap limits on coverage. Preventive & screening services might be covered. Preventive visit & yearly wellness exams are covered. Prostate cancer screenings are typically covered for men once per year. Be sure to check the rules. Prosthetic devices are covered if they are needed to replace a body part or function when ordered by a doctor or other health care provider enrolled in Medicare. Pulmonary rehabilitation program is covered if you have moderate to severe COPD. Radiation therapy is covered for hospital inpatients. Religious non-medical health care institution (RNHCI) items & services is generally only covered for non-religious, non-medical items. Be sure to check the rules. Rural health clinic services might be covered. Does Medicare Pay for Screenings? Screenings that you might want to know about are listed below. Sleep study is only covered if it is a Type I test and is done in a sleep lab facility. Second surgical opinions might be covered. Sexually transmitted infections (STI) screening & counseling might be covered. Be sure to check the rules. Shingles shot is not covered. Many tests, items, and services are covered under Medicare, but not all. For example, as of this writing, Shingles shots are not covered under Medicare. Shots (vaccinations) might be covered. Be sure to check the rules. Sleep apnea & Continuous Positive Airway Pressure (CPAP) devices & accessories are covered for a 3 month trial period if you’ve been diagnosed with obstructive sleep apnea. Medicare may cover longer if certain requirements are met. Smoking & tobacco use cessation (counseling to stop smoking or using tobacco products) is covered for up to 8 face to face visits in a year. Substance-related disorders may be covered if provided by a certain type of health professional who accepts assignment. Supplies (you use at home) is not generally covered. Surgery (estimating costs) Medicare covers many medically necessary surgical procedures. Check the rules to see how to estimate what your costs will be. Surgical dressing services may be covered. Tdap shot (tetanus, diphtheria, & pertussis shot) is covered. 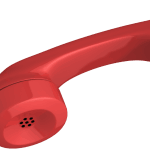 Are telephonic services covered by Medicare? What about telephonic health services? Telehealth may be covered. Be sure to check the rules. Traction equipment is covered as durable medical equipment. Transitional care management services might be covered. Transplants (adults) may be covered or partially covered. Check the rules. Transportation is covered under certain circumstances. Be sure to check the rules. Travel (when you need health care outside the U.S.) is not generally covered. There are rare instances when certain services may be covered. Be sure to check the rules. Urgently needed care is covered. 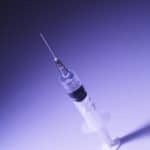 Vaccines that you might want to know about are listed below. X-rays are covered if they are medically necessary. If you have any other questions about whether a service or item is covered under Medicare, let us know and we'll update this list. Be sure to follow the Medicare guidelines for receiving these services in order to ensure that Medicare will cover them since some are covered only once every few years and others are only covered if you meet specific criteria.